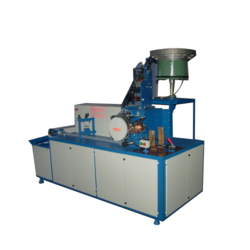 Prominent & Leading Manufacturer from Faridabad, we offer coil shaping machine. We are proficient manufacturers and suppliers of Coil Shaping Machine that offers fully automatic operations. We have state of the art facilities for formulation of this by using the best grades of components that are procured from the leading vendors of the domain. It is extensively used in winding applications and manufactured by using cutting edge technologies. Our valued clients can avail this at reasonable rates. Looking for Coil Shaping Machine ?